A 45% stake in Proenza Schouler, previously owned by the Valentino Fashion Group, has been brought by Andrew Rosen (owner of Theory) and John Howard (financier). 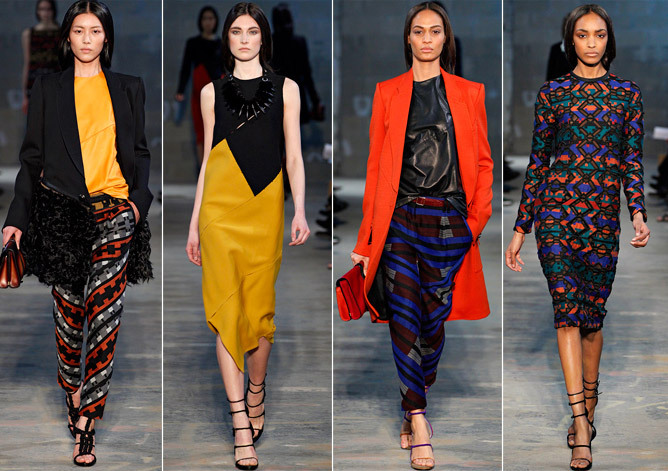 Rosen has a portfolio of fashion investments, including; Rag & Bone, Alice & Olivia and Gryphon. Proenza Schouler has become the hot ticket at New York Fashion Week, favoured by the super stylish; Kate Bosworth, Liv Tyler, Kirsten Dunst and Jennifer Lawrence, amongst others. Starting the label in 2002, Proenza Schouler has already been awarded the Council of Fashion Designers of America ‘Designer of the Year’ on two occasions. Modern day style icon; New York socialite; model; designer; reality TV starlet; and all round entrepreneur; Olivia Palermo has been announced as the new face of Spanish jewellery label – Carrera y Carrera. In the campaign images (pictured right) Palermo looks radiant and glowing. Adore Olivia Palermo… always immaculately chic! ‘Coco Chanel: An Intimate Life’, written by Lisa Chaney, will be released later this year and is set to lift the lid on the designer’s private life. The biographer claims to have found evidence, Chanel “used drugs, embraced bisexuality and had an affair with Salvador Dali while he was married”. The author’s publicist has also confirmed that Chaney accessed documents from the Swiss Federal Archives to prove Günther von Dincklage (one of Chanel’s lovers) was a spy for the Nazis during World War II. While there are many Chanel bios already out there, this one is certainly shaping up to be a compelling read. At four months of age Skyler’s walk-in-wardrobe is already topped with the crème da la creme, including; custom-made Missoni sweaters and a leather Gucci bomber jacket, amongst others. I’ll be very interested to see what Ms. Zoe comes up with for bubs! I love the photos of Olivia Palermo, beautiful!